This local ice cream shop boasts over 40 flavors a day, rotating between favorites like Chocolate Chip Cookie Dough, to more original creations like Sticky Toffee Pudding, which I am enjoying below along with a scoop of White Chocolate Vanilla Pod. The scoops are small enough to justify having more than one (not that I ever have trouble justifying that!) and with the variety of flavors available you wont have trouble justifying it either! 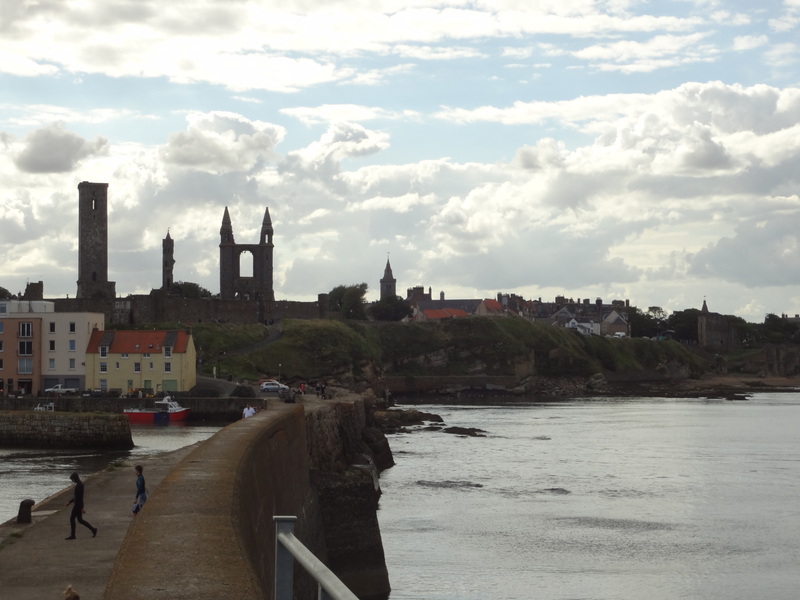 Oh, and did I mention it’s just a two minute walk from one of the most beautiful ruined cathedrals you’ll come across! 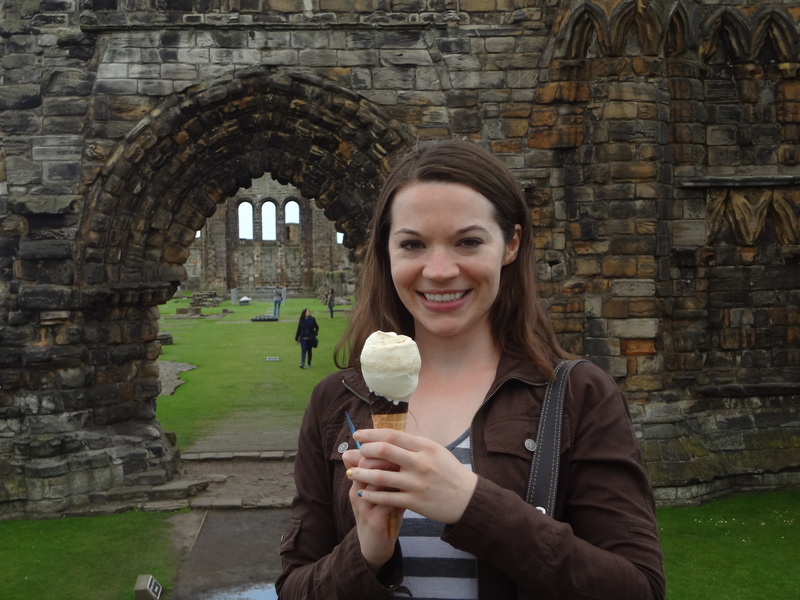 Ice cream cones were made for walking, so why not enjoy the sites? Made famous as a favorite date spot for Kate and Prince William (and everyone else in St. Andrews), Northpoint serves up more than refreshing teas and coffees. 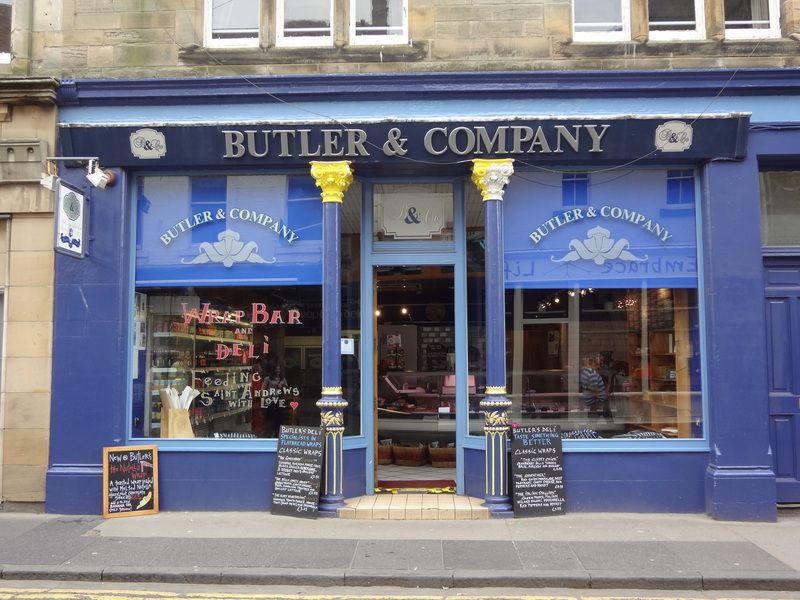 They are the only place in St. Andrews where you can find American pancakes, making it a haven for those of us who craved a little piece of home. Their menu is mostly brunch items, think breakfast burritos and bagel sandwiches, but they also have an amazing selection of crumbles, brownies, and other baked treats. My favorite is the bacon, brie and cranberry bagel pictured above! The place is small, so get there early to grab a table, the line can frequently be out the door! 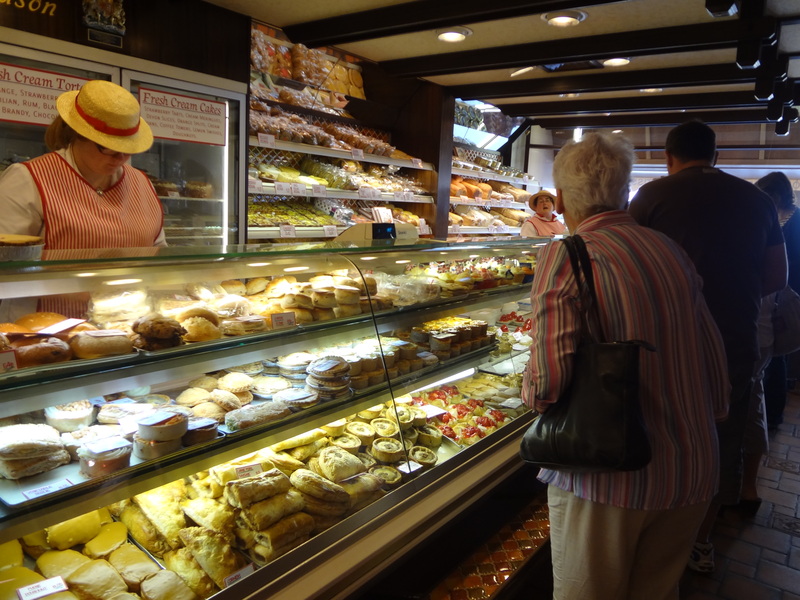 Arguably the best bakery in St. Andrews, Fisher and Donaldson has everything from chocolates, to pastries, to cakes, and bread. They also take online delivery orders so parents who live over seas can send care packages to students. 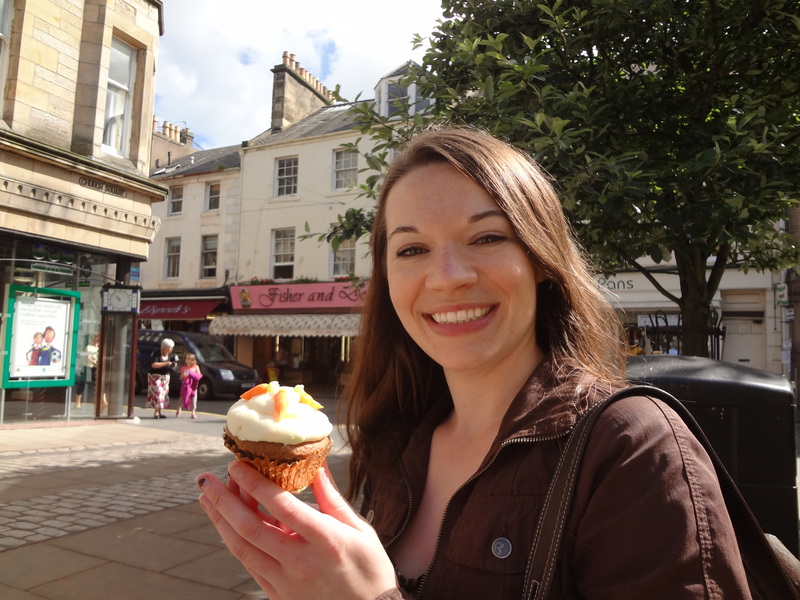 My favorite here is the carrot cake, now offered in a cupcake version. The cake is moist and has a boldly spiced flavor that is complimented well by the light cream cheese frosting. And the mini cupcakes are an adorable touch! The place for Americans to stock up on their favorite imports like Skippy peanut butter, marshmallow fluff, and canned pumpkin for Thanksgiving is also an amazing place to eat. At the back of the shop you’ll find an understated counter where delicious frilled wraps and paninis are made fresh. 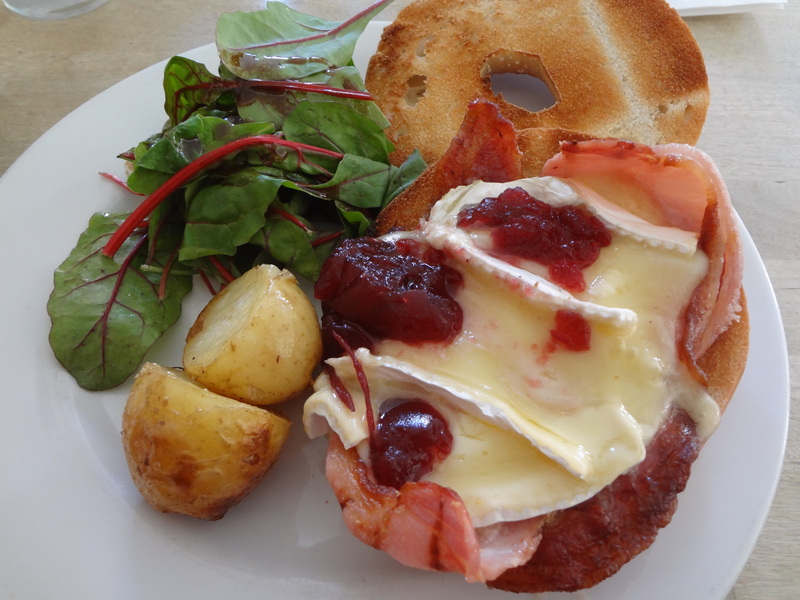 Perfect for a light lunch while walking through the cathedral, strolling down the pier or exploring Castle Sands. 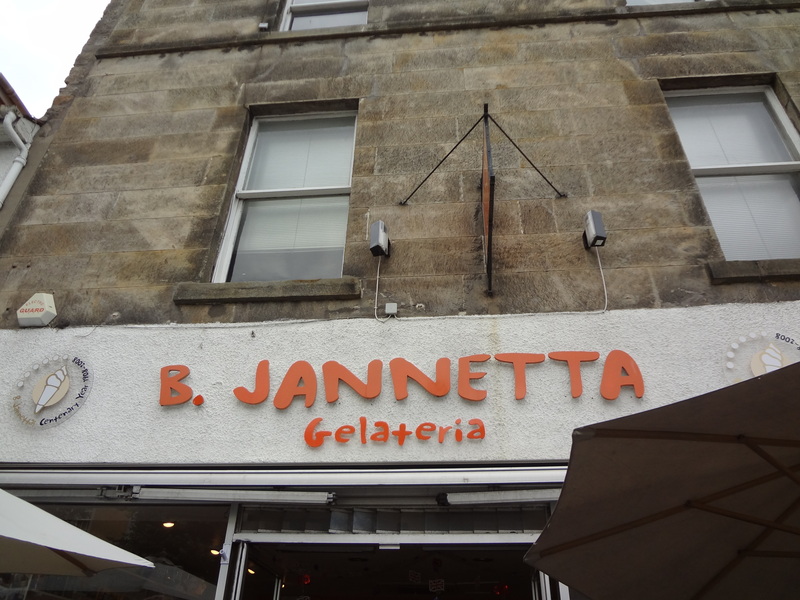 This entry was posted in Uncategorized and tagged Bacon, Bagels, Bakery, Brie, Carrot Cake, Cranberry, Cupcakes, Ice Cream, Local Eateries, St. Andrews, Sticky Toffee Pudding, Travel by theculinarycapers. Bookmark the permalink.